They both love great hotel experiences. However, where these two groups may not see eye to eye is on the kind of hotel experience they are after. Now university students will have the chance to compete in a contest to come up with a hotel concept that best suits their unique needs, in Canada’s Second Annual Canadian Millennial Hotel Competition! This case competition will give undergrad students a chance to showcase their bold and inspiring ideas on leading hotel concepts. From across Canada, students will put their ‘education into action’ and win a cash prize. They will also have a chance to meet—and WOW—hundreds of Canada’s hotel industry leaders at the annual Canadian Hotel Investment Conference in Toronto. The hotel industry can learn from students. 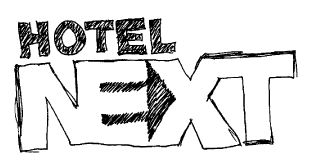 This contest will give Canada’s rapidly evolving hotel industry more insight into what 18-29 year olds want in a hotel experience. Just as outlined by Mr. Bill Marriott in his 2015 speech in Toronto, there are an ever-growing number of Millennials taking part in Canadian hotel experiences in addition to working in the sector. Recognizing Millennials’ tastes in hotel design and amenities is key for this evolving industry. Educators can build closer ties with industry and enhance student learning. This competition will give hotel schools in Canada a new level of recognition at the Canadian Hotel Investment Conference and with Canada’s top lodging industry experts. It will also provide them a chance to enhance student learning through additional hands-on, real-life experience in designing a hotel concept. Since this is a ‘hotel development’ project, the Teams need to demonstrate original ideas and what makes their concept different. Care must be taken not to align the project with a specific existing brand. The Teams would need to research the markets, determine positioning, size and type of hotel, prepare financial projections, determine construction costs, consider financing and then provide an investment analysis.